I wanted to let everyone know that there are new picture sets up on the forum and I had some good stuff to say that happened today. 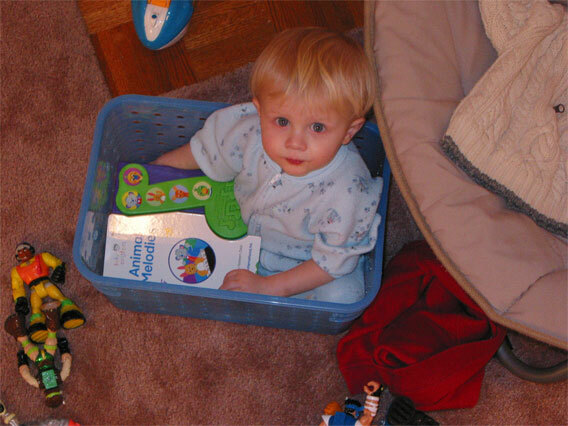 The day before yesterday I snuck up on Zach who was sitting in a bucket reading a book. It was so cute. It was funny because he was so quiet and just sitting there minding his own business...albeit while sitting inside the bucket. Click here to see all the pictures from this set. 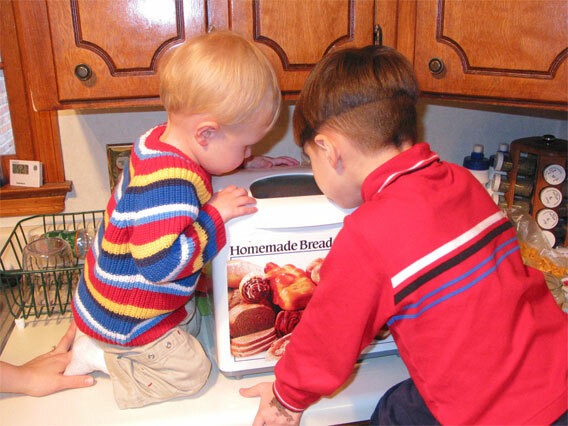 The boys kept a close eye on the bread Anita was making to make sure all was as it should be. And to will it to work faster. The boys could sit and eat nothing but bread all day every day, I swear. Click here for the full set of pictures for this set.